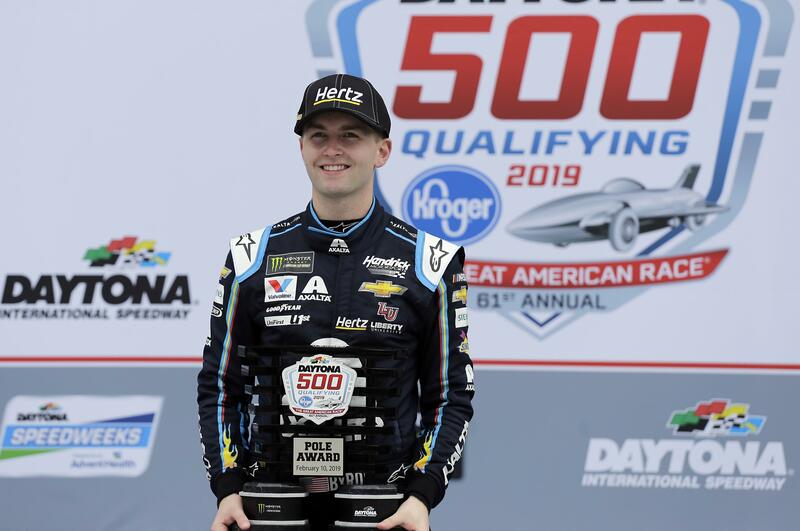 Sun., Feb. 10, 2019, 6:07 p.m.
DAYTONA BEACH, Fla. – William Byron put Hendrick Motorsports in a familiar position: on the pole for the Daytona 500. His bigger goal is to make the starting spot pay dividends for the NASCAR powerhouse. The last four – Hendrick’s Jeff Gordon, Chase Elliott (twice) and Bowman – have failed to notch a top-10 finish. The Hendrick cars were mediocre at best – Johnson failed to win for the first time in his Cup career – and it took 22 races for the organization to get its first victory. The final tally included three victories for Elliott and no drivers in the championship-deciding finale for the second consecutive year. Jimmie Johnson triggered a wreck that wiped out nearly the entire field at Daytona and zipped to the lead to win the rain-shortened exhibition Clash. Published: Feb. 10, 2019, 6:07 p.m.